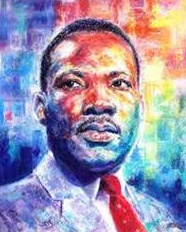 On behalf of the organizers, partners and Volunteer Center Serving Howard County, Thank YOU for helping make Martin Luther, Jr Day of Service 2019 a time of community involvement. The January 21st Day of Service, in collaboration with the Dr. Martin Luther King, Jr. Holiday Commission, was a success! To date (2/5) more than 454 volunteers engaged in over 1091 hours service as reported by 14 local organizations. 183 small crafts for seniors (fans, pencil jigglers and door ornaments) were created managed by the Columbia Art Center and Howard County Office on Aging and Independence. 107 recipe cards were colorized for Food Bank clients. $6333.43 worth of coupons were clipped and sorted for military members overseas. I Can, I Will session by Hope Works of Howard County. Collecting and delivering more than 6000 pounds of food and diapers to the Howard County Food Bank, supported by SAFE Foods and the Community Action Council of Howard County. Restocking inventory at Chesapeake Restore. Supporting Performing Arts Center for African Cultures event. Learning how to identify volunteer opportunities at VolunteerHoward.org. Projects and opportunities managed by Glen Mar UMC and AMES Memorial UMC. Due to temperatures in the single digits, opportunities at Days End Farm, Horse Rescue, Therapeutic Recreational and Riding Center and Kenilworth Aquatic Gardens were canceled. Everybody can be great ... because anybody can serve. You don't have to have a college degree to serve. You don't have to make your subject and verb agree to serve. You only need a heart full of grace. A soul generated by love. Thank you to ALL for participating in service in honor of Dr. King, Jr.s legacy. Your "greatness" is appreciated. (click on organization name to learn more and link to their current opportunities).